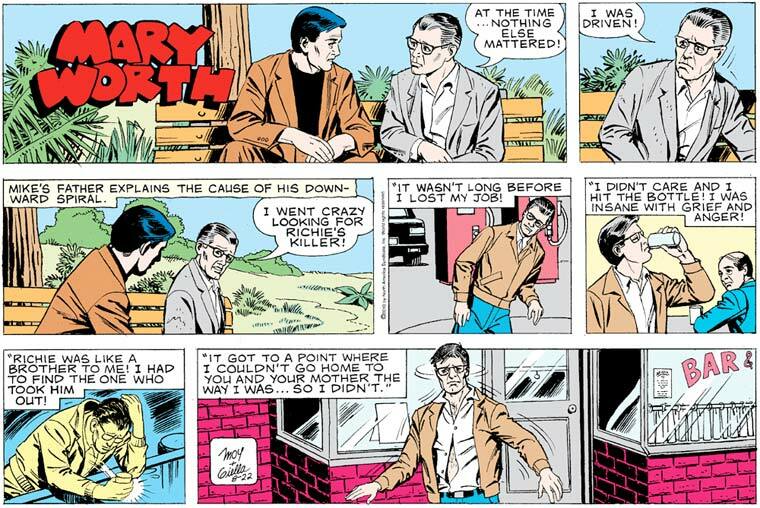 I’m pretty sure there’s some kind of “most consistently hilarious depiction of drunkenness in a comic strip” Reuben Award, and Mary Worth is gunning for it, hard. Lonnie began his drunken day with a jacket and pants of different colors — obviously, the hard drinking has destroyed the fashion centers of his brain. 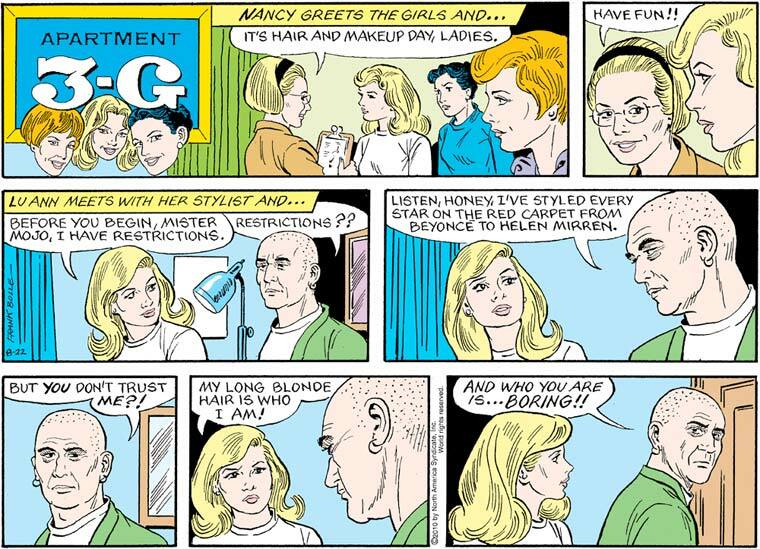 (That’s why he only wears grey now.) But once he’s got a real bender on, we can see the true horror that booze does to a man. Did Lonnie unbutton and then drunkenly try to rebutton his shirt? Probably! Because that’s what alcohol does. It leaves your wispy stomach hairs visible for the world to see. Is this what you want for yourself? Turn away from the drinking, before it’s too late! Ha ha! It’s funny because Funky can’t feel joy, due to his crippling emotional problems.